I’m rreally tired of sad news like this,may GOD pls come to our aid in Nigeria. RIP. In my opinion, all the airmen and women from the topmost position should all be sent to America or Germany for proper training. Nonsense! Oh Lord cleanse our nation (our land) of this death issue and put an end to death here and there in Nigeria. The death of Corporal Meshach Iliya Komo,is a painful one,but get as it may he die at duty post,he should be forgotten. This is another action may his soul rest in peace The Nigerian Air Force (NAF) is sad to announce the passing of one of its airmen, Corporal Meshach Iliya Komo, who died in Kaduna today, 14 April 2019, in a parachuting accident during recurrency training. This platform is a wonderful one on how it update us with the latest news they have, this is to tell that we are very grateful on your struggles. Gallant soldier who died in the line of duty, I salute you. May your soul rest in peace. This is really, really sad! Just a week after the helicopter accident. Condolences to his loved ones. The training is beginning to take a lot of casualty.. it’s part of trying to get a perfect squad ready for combat.. sorry for the loss. this is a very sad news o, what is happening to our Nigerian force God..may his soul rest in perfect peace.. they should move closer to God . This is really great, with this news, we get avenue of latest updates about what is going on all over the world. Paidnews, you are the best . This is very bad. Our military agents dying daily in different occasions. May God help this country. May his soul rest in peace. This is really bad,can’t something be done to avert this military death. So painful, what is happening to our Nigerian force God..may his soul rest in perfect peace.. they should move closer to God . Another gallant hero has died in service to his country. This is so unfortunate,may the soul of the departed rest in peace. 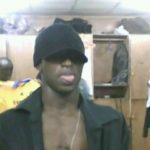 May his gallant soul rest in perfect peace. Amen. The Nigerian Air Force should recruit people that are physically ,medically and mentally fit for the job and people who are determined to do the job. May a permanent end come to this kind of incidence in Nigeria. May the soul of the departed rest in perfect peace. he was kidnapped. We didn’t know who he was. While we were heading to our camp where we hope to keep him until ransom is paid. 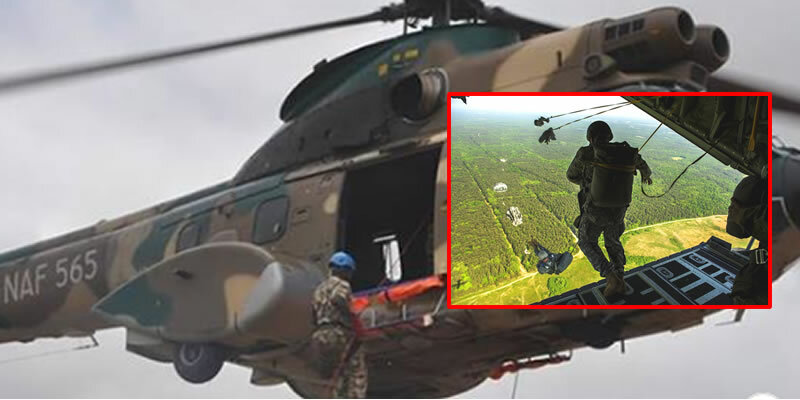 Another Nigerian Air Force officer killed in a Parachute accident one week after chopper acciden,That’s sad news! More caution is needed to avoid these recurring ugly incidence involving our military men and women. the most common news now a days is all about accident and death. the rate of mortality is getting too much, God have mercy in our Country. You died trying to protect you mother land where the leaders have capitalised the state for private biz.